Service started a little slow but the food quality and and accommodations made without request more than made up for it! The mac and cheese was delicious. We really enjoyed the campfire restaurant, we loved the drinks and the food. Also the veiw out over lake atlas was amazing. Wow, really impressed with this app. At first I was a little hesitant to use it because there are so many scams going on, but decided to give it a try. Was so simple and easy and seemed too good to be true, but actually true! 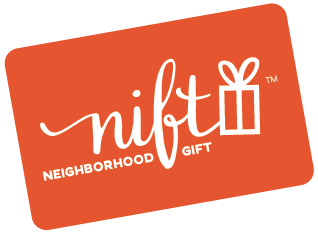 The staff at Campfire knew about Nift but had a hard time figuring out how to “redeem” the gift. All in all a great experience. Absolutely amazing! Love this program. Campfire was great. We went for an early morning breakfast. Good service and great food, the only complaint would be that the omelet came with a side of potatoes, but it isn't listed on the menu, so I ended up purchasing an unneeded extra side of potatoes. The food was expensive, but it was a large portion and absolutely delicious. What a great way to try out restaurants risk free! I loved that I was also able to include the gratuity in the price. Great experience. Campfire is one of the most relaxing, upscale restaurants in College Station. The atmosphere is calm and peaceful and the staff are always very kind and welcoming.